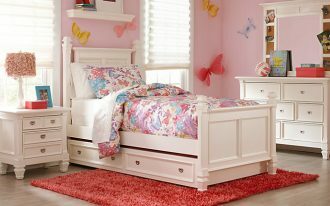 Are you confused to choose a bed for your kids? 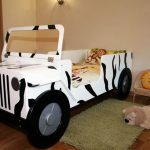 Do your kids love cars? 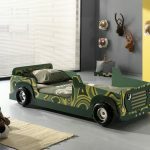 If the answer for these questions are yes, then you can choose car bed design for them. 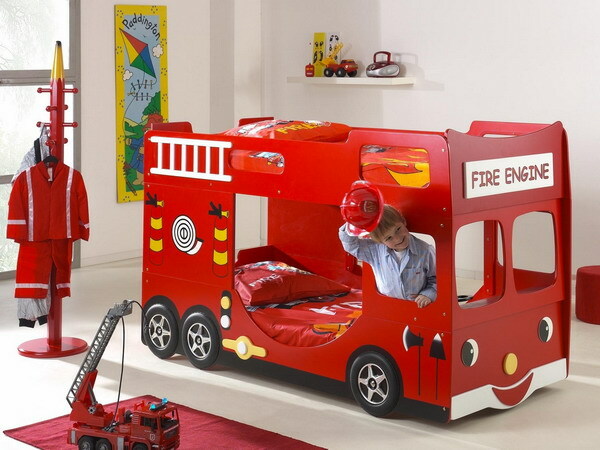 These children car beds offer an incredible feeling with its various modern designs. 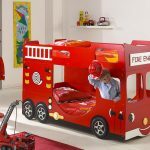 One recommended car bed for your little ones is the Red Italian Car Bed. 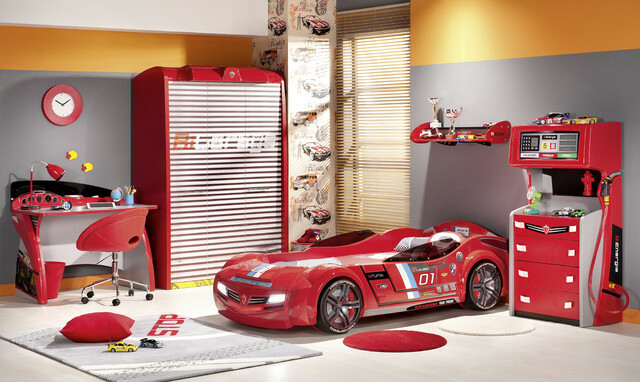 This sporty red car bed includes LED headlights with shiny rims and realistic racing stickers. 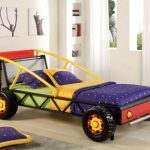 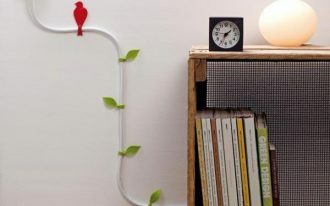 For the total modern style with cars themed, you can pick bedroom accessories that fit the bed setting such as red turbo desk, red dresser with solar-machine design, and red cushions. 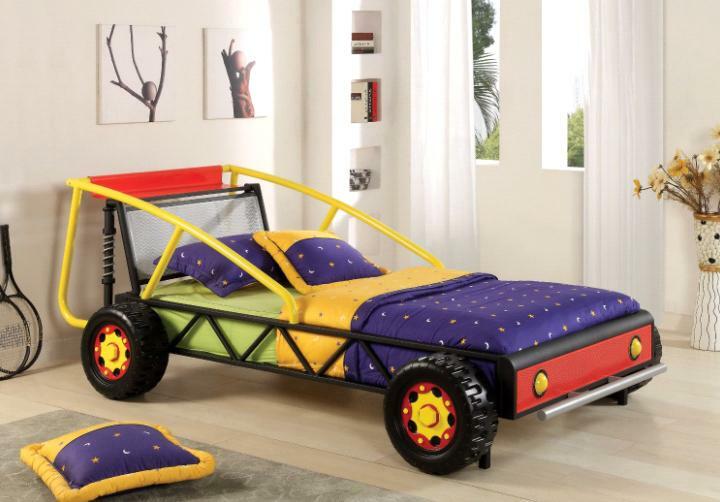 Another recommended children car bed is Turbo Car Bed GT. 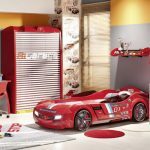 Similar with the one above, it includes LED headlight and realistic racing stickers. 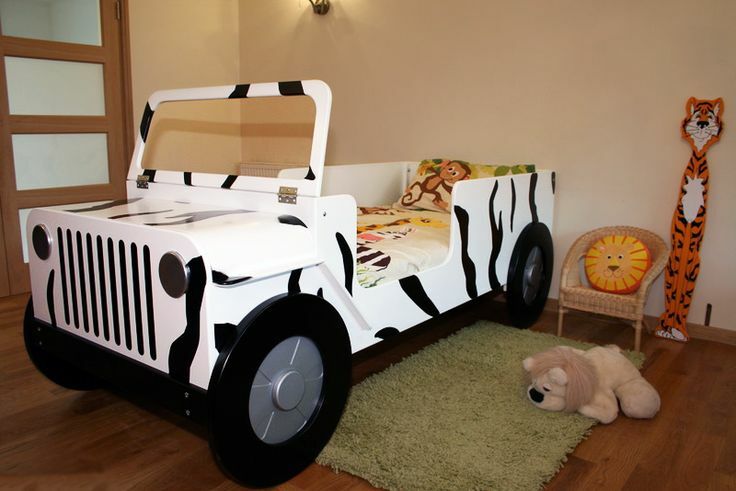 The differences are the black rims and the super slick white color of the car bed. 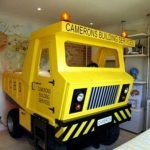 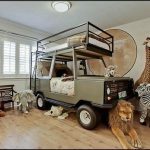 The other car bed designs are Max Metal Car Bed, Batman Car Bed, Safari Bunk Bed, Truck Bed design, and Fire Engine Car Bed. 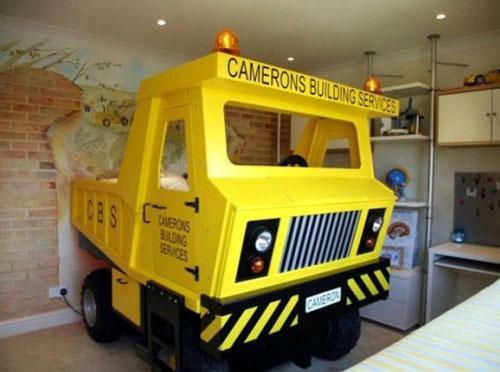 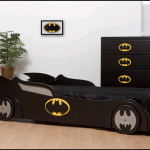 Those car bed designs seem suitable for boys. 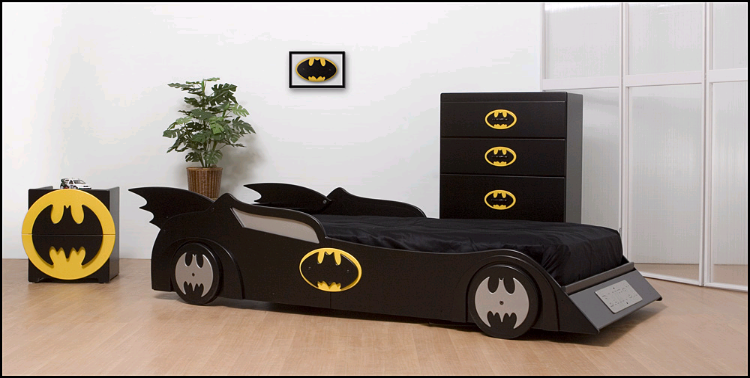 How about the girls? 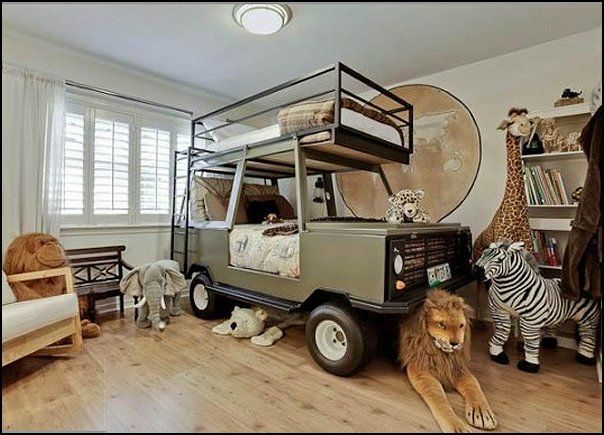 You do not have to worry. 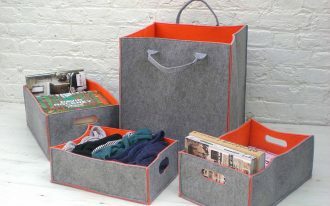 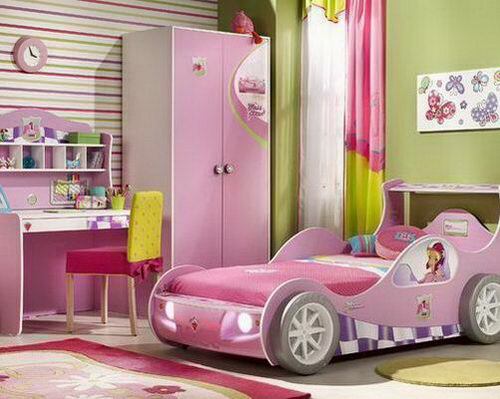 Some car beds also design for the girls. 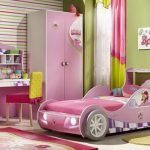 The examples is Barbie Car Bed design. 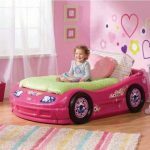 With its pinky color, and Barbie picture on it, this car bed is very cute and suitable for your little girl. 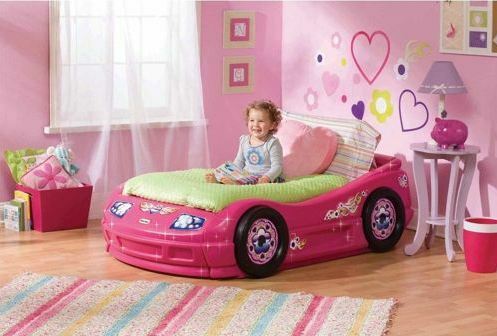 You can also pick the Turbo Car Bed in Pink. 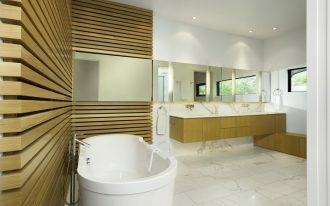 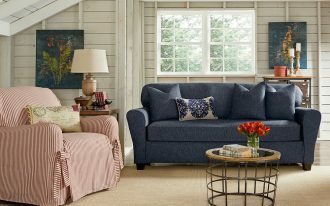 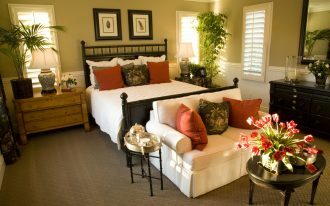 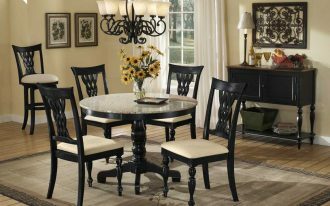 It looks feminine in its modern-style. 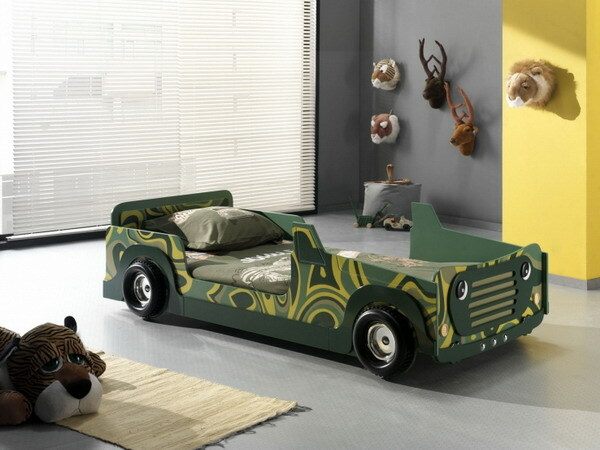 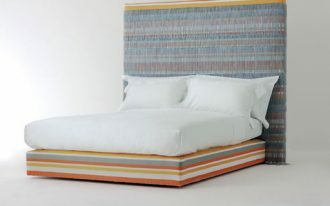 Other car beds with its incredible design that you can see are in these pictures below.